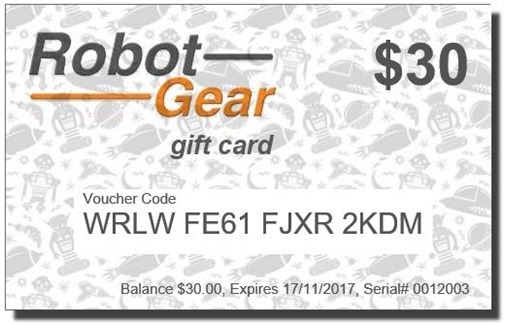 If you can't decide and want to leave the fun of choosing to your recipient, why not buy them a Robot Gear Gift Card? These can be used as currency towards anything on our website and are valid for 12 months from the date of purchase. After you purchase a gift card, you will be sent an email with a certificate that you can email or snail mail to the recipient.